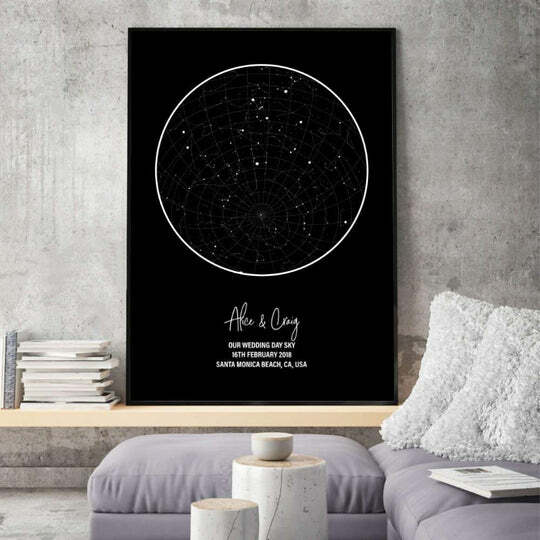 Get inspired with these gorgeous paper anniversary gifts, they are just perfect to surprise your loved one on your first year together. 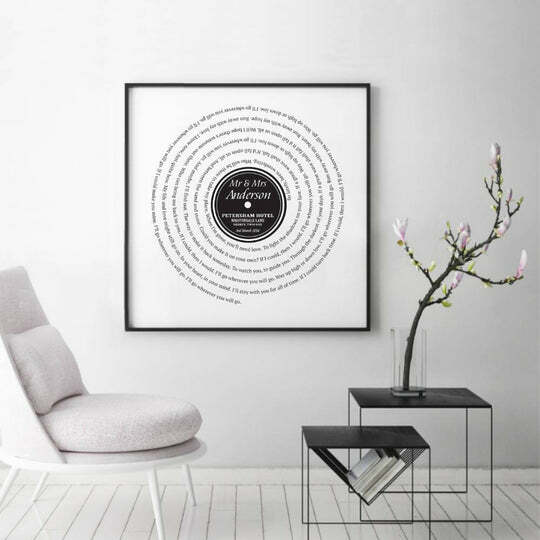 Get inspiration below of the perfect groupings to decorate your walls. These are the perfect 1st wedding anniversary gift as the first anniversary year is paper. Discover our beautiful wedding anniversary paper gifts, your first year together after your wedding day. 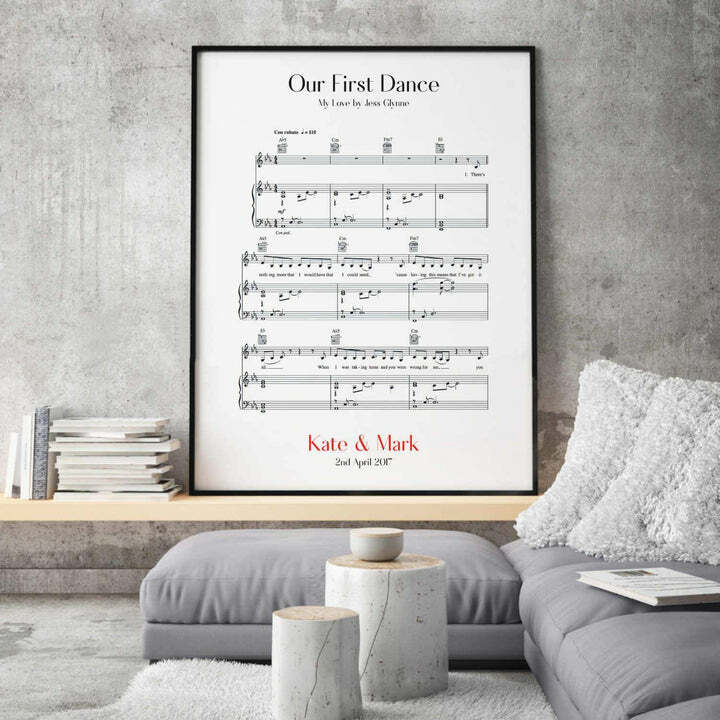 This is your first milestone on the journey that you, the happy couple, will spend many more years to come so mark it with the perfect reminder of your special day displayed in a personalised print. 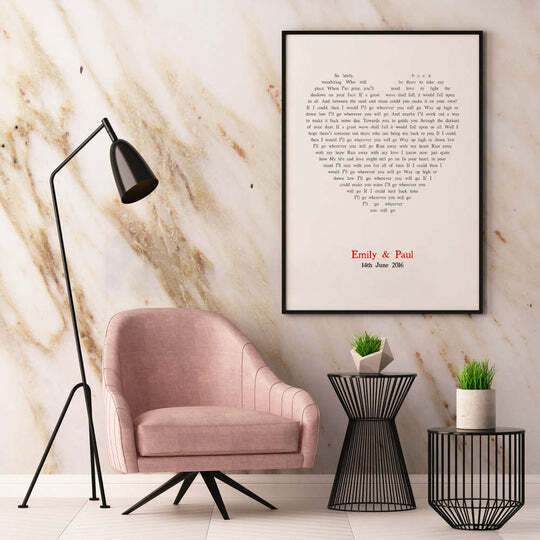 We understand that this is the most important day for any couple and as such we have a carefully picked selection of paper anniversary gifts to do just that. All of our personalised products are made in-house, so if you have a particular request such as a different colour, additional details, etc. we will be happy to help you out, just ask us!